Diamond is a girl’s best friend, oh well, but not every girl can afford a diamond. 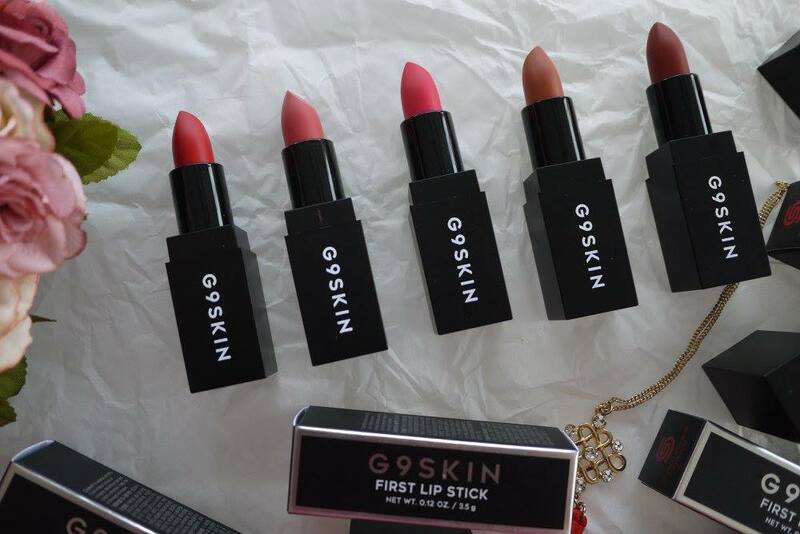 However, every girl surely could afford a lipstick or two. They say, Life is short, wear lipstick. So, instead of diamond, I have many lipsticks and I love playing makeup with them. 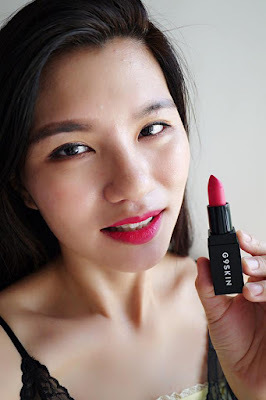 Recently, I have discovered a new Korean brand, G9Skin and tried their First Lipstick. I am attracted with its black classic packaging. When it comes to lips beauty products, we want it to plump and made our lips popped. 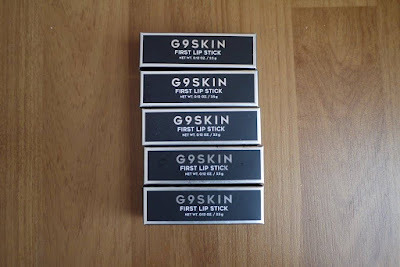 The colors of G9Skin First Lipsticks is so vivid I couldn’t wait to put them on my lips! 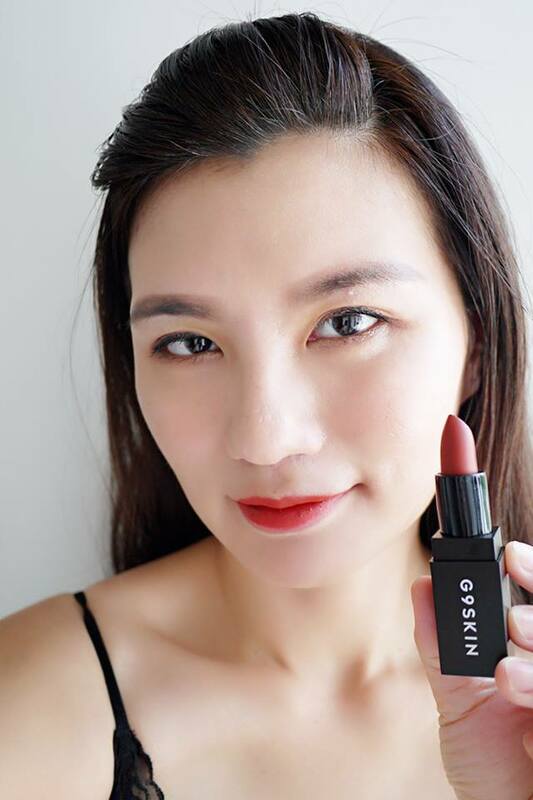 A perfect red hue for the dates. 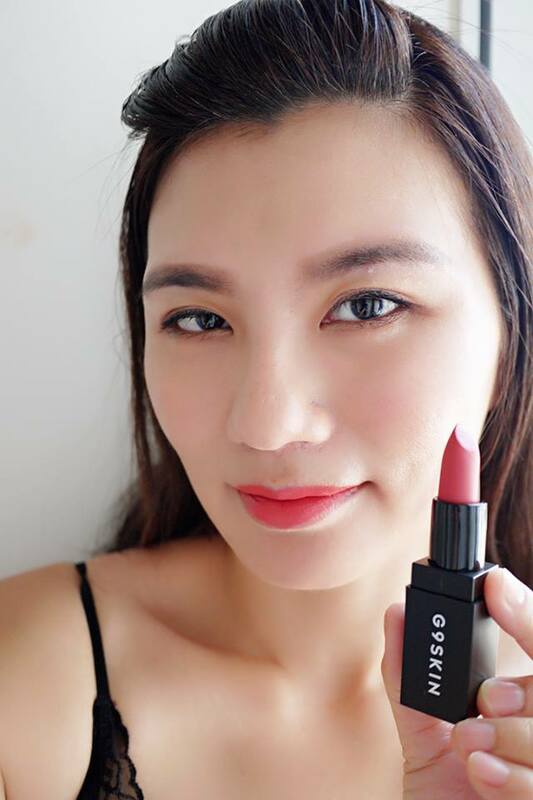 A rosy shade that is feminine, soft and pretty. A vivid pink shade for the oh-so-sweet time. A peachy brown lipstick shades that made me feel confident and cool. 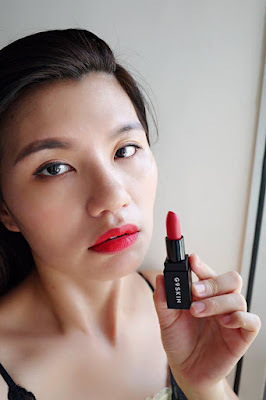 A vampire red that is perfect for party! These are absolutely 5 very trendy colors for every occasions. The lipstick has Creamy soft texture which made it easy to apply on my lips. 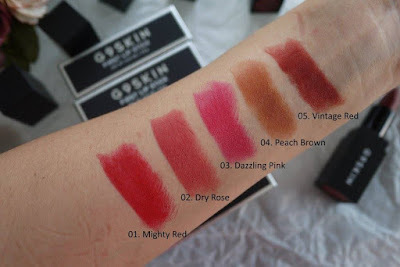 The creamy lip colors are very pigmented, and they last me for more than four hours without feeling dryness nor uncomfortable, it is light feeling like second skin. 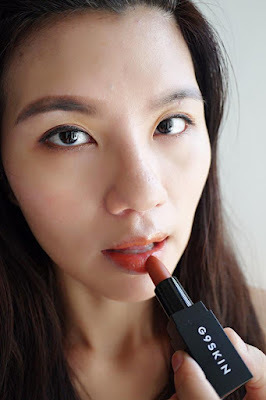 I fell in love with its excellent color and moisturise power. 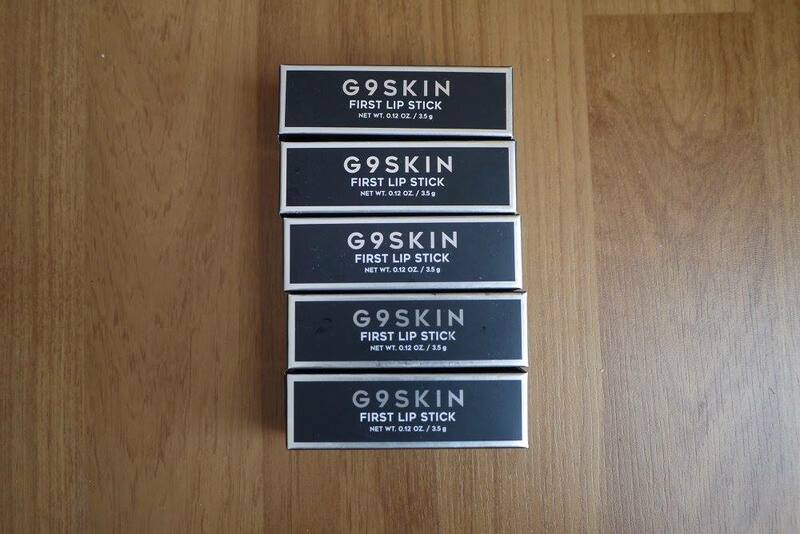 G9Skin First Lipstick is Made in Seoul, Korea. It is 3.5 gram each, and is individually pack in black paper box. It is best lipsticks for ourselves and our besties. 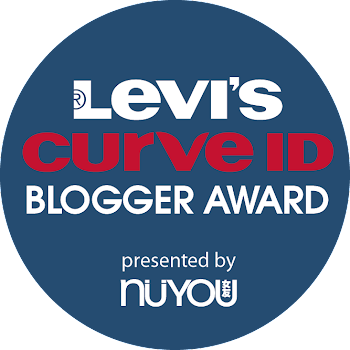 I saw someone else posted about this brand too! Love the colors! I think my favourite is mighty red! You look great in Mighty Red shade! I like the different shades. Looks good on you. Nice range of colors, my favorite will be dry rose! I light the mighty red. Look a bit strong and bold. Loving the Mighty red color! 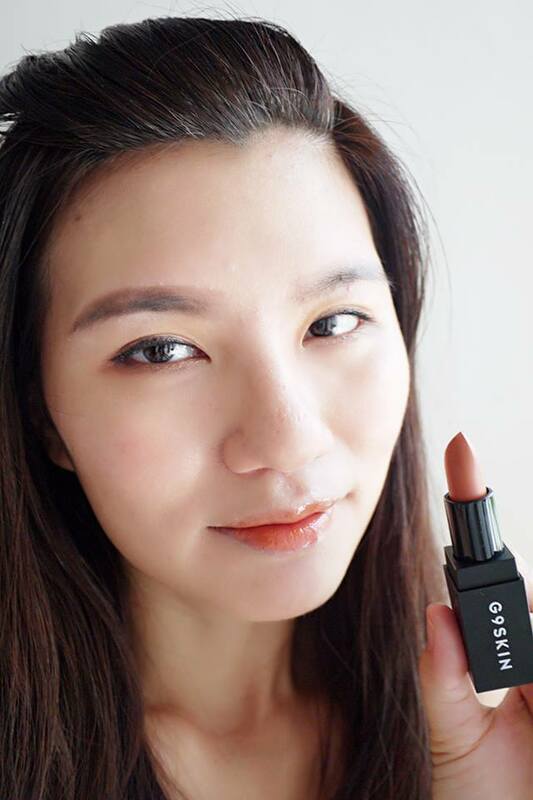 Looks abit wild when match with some heavy makeup!The packaging looks very classy too!